Free Skiing Slope style was added to the Olympic program on July 4th, 2011. § Nick Goepper was the first American free skier to qualify for the Olympics. § He recently competed in the free skiing slope style and did the triple cork 1440 in competition at the X games. § Keri Herman, 30, is the oldest member of Free Skiing Slope Style. § These trails, called "terrain parks" or "jib parks", are filled with various types of jumps and other obstacles.§ The goal of the snowboarder/skier is to use all of these to their advantage while riding down. 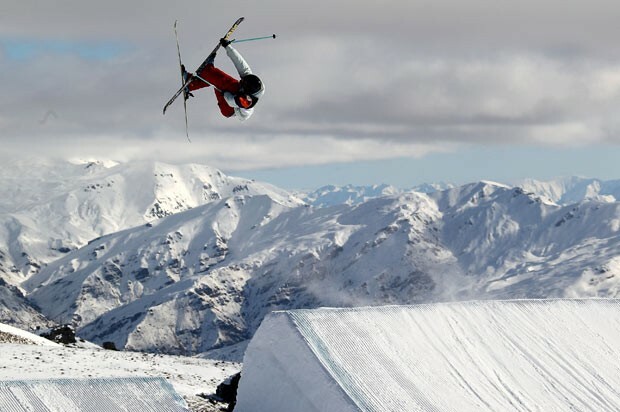 § Jumps on a slopestyle course can be as big or small as needed, but most range from 20 to 80 feet long. § Rails come in all shapes and sizes, from long straight ones to rainbow shaped ones. § Similar to a rail is an obstacle called a box. § This allows snowboarders/skiers to ride onto the box and slide the length of it back onto the snow.